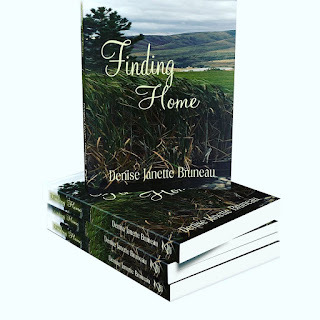 Denise Janette Bruneau: Happy Father’s Day! I have many memories of my dad. One of my earliest memories is when I was about two years old. I was at my grandma’s house with my parents. Dad took me out to the car to get something. We walked up the driveway to the car, and as we walked back, the rain began to fall in sprinkles. I remember the polka dots of raindrops on the driveway. My dad lifted me up to his shoulders and began singing “Raindrops Keep Falling on My Head,” by B.J. Thomas. Not long after that, I remember being at my great grandmother’s house at Christmas. I must have been about three then. I was sitting in my dad’s lap, and we were reading a book together. 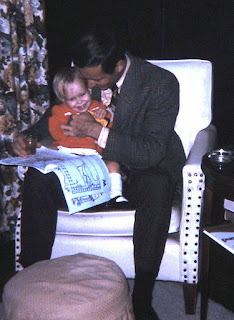 Then at the age of five, I have a memory of sitting on the couch with dad at home, watching an episode of “Lost in Space.” Dad had me nestled in cozy next to him. He let me drink Big Red out of his big, green cup. I felt special. 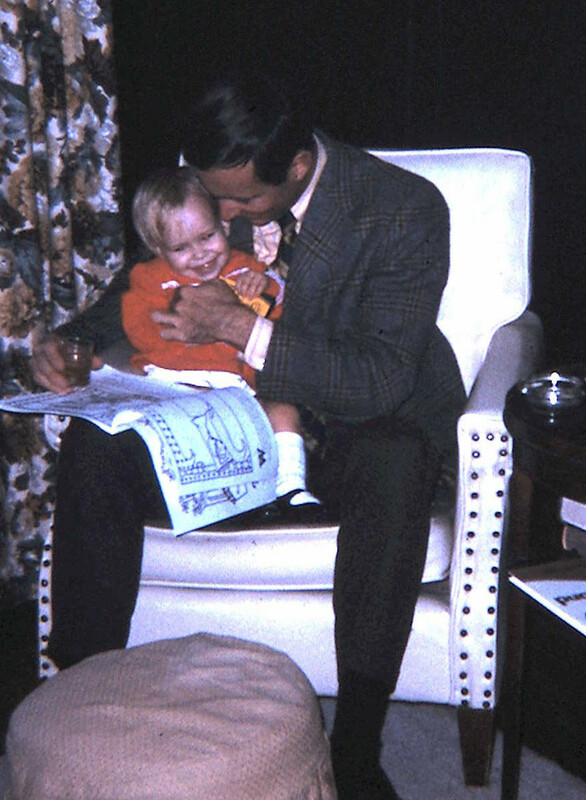 All through my childhood, I remember one thing about my dad: He was always showing me how much he loved me. This is true even into my adult years. My husband, Mark, is also a great example of God’s fatherly love for His children. Sometimes he amazes me with his great patience. When the kids need discipline, he is slow to anger; and he wants them to understand the error of their ways, rather than just ordering a punishment. He will spend a great deal of time instructing them, but he also spends an equal amount of time listening to them. My husband’s parenting example is one I try to adopt. I tend to be a bit more dramatic, lose my patience, and even fly off the handle at times. Mark usually goes behind me after the dust settles, and he smoothes everything over for me and for the kids. He is definitely a peacemaker, and I’m sure that that must be one of his spiritual gifts. Whatever your memories of your earthly father, remember how much God, the Father, Abba, loves you. His love for you is true, solid, and without reservation. He longs to take you in His arms and hold your heart next to His. He is the ultimate Daddy, and He is yours.